Kitchen Countertops in El Paso | Eleganzza Granite Inc. Kitchen Countertops in El Paso | Eleganzza Granite Inc. The kitchen can be seen as the heart of the home. It’s one of the most important rooms, after all. A space for family and friends to convene, eat, and spend quality time together. 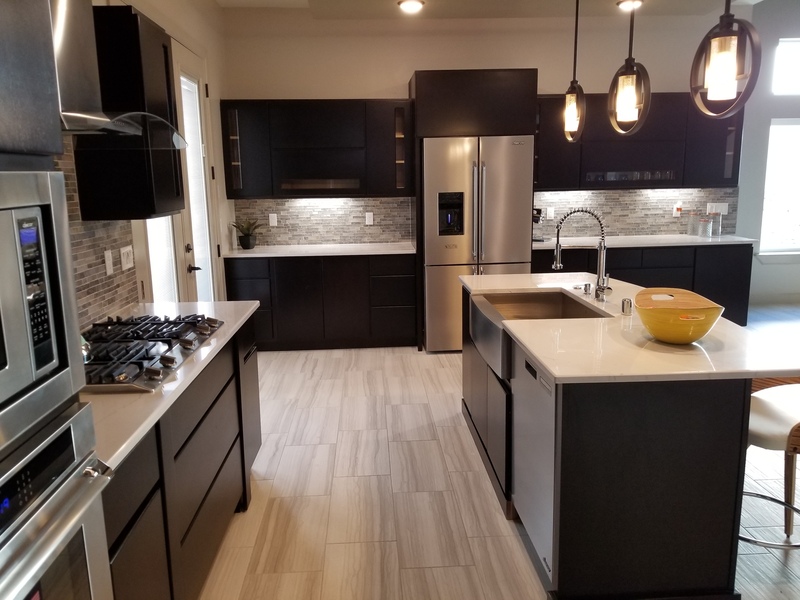 It’s no surprise, then, that homeowners who are looking to upgrade their kitchens should consider choosing granite countertops. On the surface, granite may seem beautiful and resistant but it’s much more than just a pretty facade. In fact, granite surpasses all other kitchen countertop options for a variety of reasons. If you’re in the El Paso area and you’re looking to reimagine your kitchen, choose Eleganzza Granite Inc. Choosing granite countertops for your kitchen comes with many excellent benefits. Since granite is crafted under heat and pressure, it can easily take on a hot pan without the surface suffering from any heat damage. Since the kitchen is bound to see a variety of hot plates, pans, and dishes on a daily basis, it’s best to make sure the surfaces of the kitchen can withstand such heat. On top of being resistant to high heat, granite countertops are incredibly resistant to stains and won’t absorb liquids. Since granite is porous, it is crucial for the surface to be sealed properly in order to avoid any issues in the future. It’s important to point out that, although a granite countertop may resist high temperatures and stains, it can still crack or chip if a heavy object is dropped on the countertop. Quartz is another option for kitchen countertops. Quartz countertops are known as “engineered stone,” because they are not mined from pure stone like granite. This means that the surface of a quartz countertop will have a more consistent coloration. On top of the aesthetic values, quartz countertops don’t require the same amount of care and maintenance typically associated with granite. Quartz also won’t crack or chip over time. The non-porous surface and clean, uniform color makes quartz countertops an excellent, surface option to turn your kitchen into an antimicrobial spectacle. Perhaps you’ve decided on granite, quartz, or any other type of stone for your kitchen countertops. But why stop there? 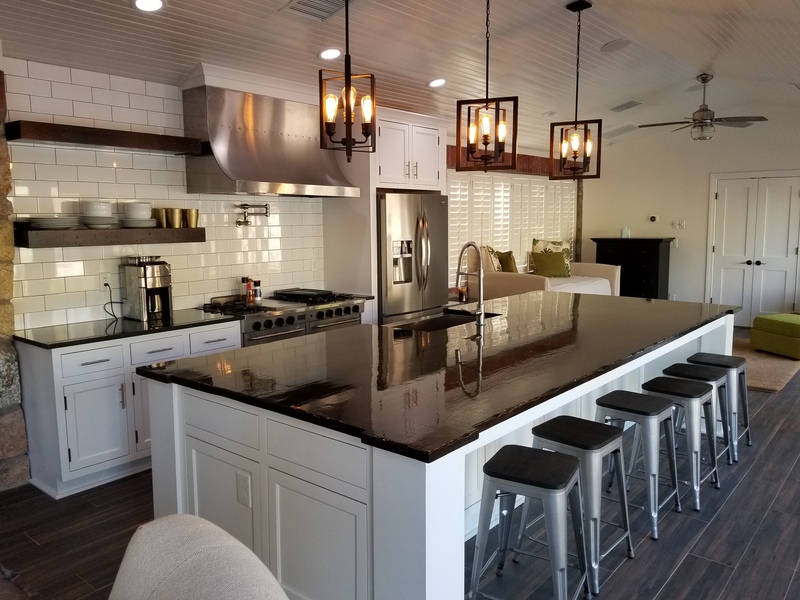 On top of being the granite and quartz supplier for the Southwest area, Eleganzza Granite Inc. also offers kitchen remodeling services to complete your project. With our remodeling services, your kitchen can become exactly what you’ve always dreamed of. No matter the size of the remodeling project, we can take it on. Expand the size of your kitchen, add more surface area, rearrange it, anything you can dream of, we can make it a reality. We can reinvent your kitchen’s cabinets, as well. So when we say “anything,” we mean exactly that!